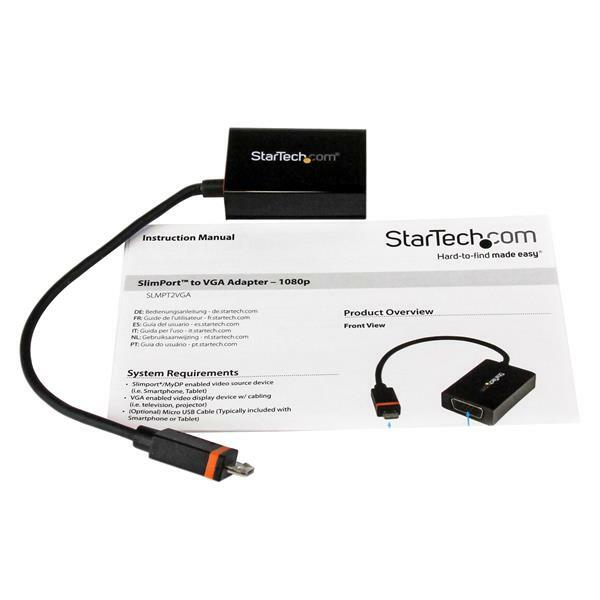 The SLMPT2VGA Micro USB (SlimPort) to VGA adapter lets you connect your SlimPort / MyDP-enabled laptop or smartphone to any VGA-equipped television, monitor or projector. Perfect for extending workspace or viewing content from your HP Chromebook 11 laptop, LG Optimus G Pro or G2 smartphone on a larger screen, the adapter offers a simple way to increase productivity or share your screen for group viewing. 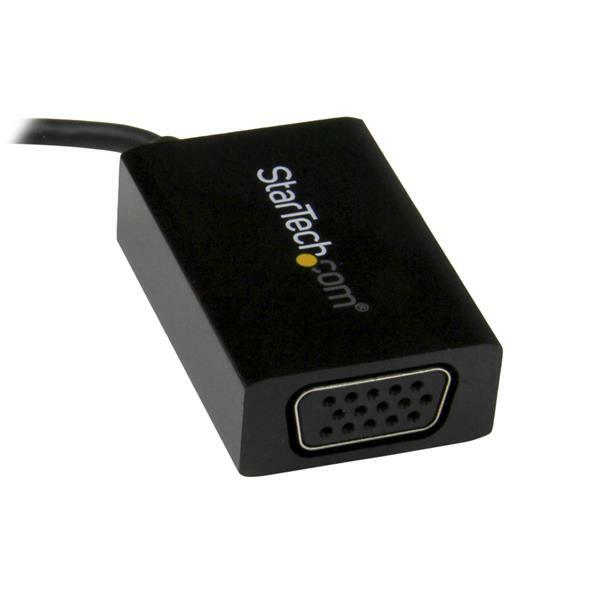 The SlimPort to VGA adapter supports video resolutions up to 1920x1200 at 60 frames per second, delivering high resolution video content to your display without sacrificing video quality on games or videos. 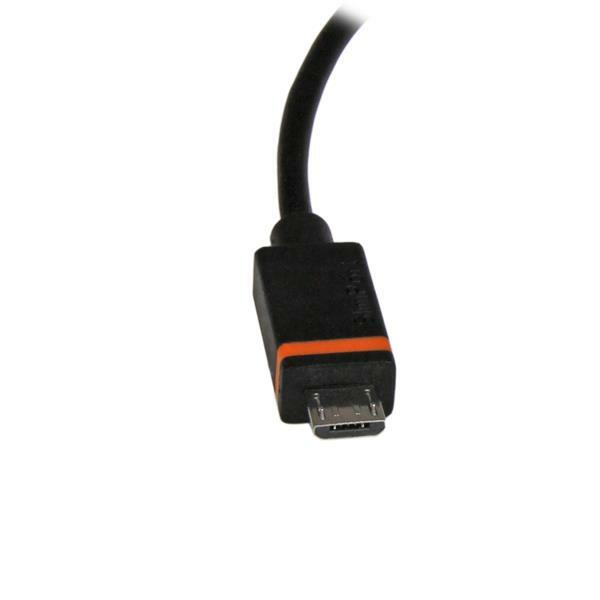 You can also use the 3.5mm audio jack from your source device to provide stereo audio to your speakers; simply connect a 3.5mm audio cable from your source device to your display device or speaker system. 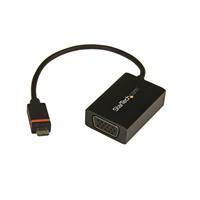 Plus, this compact, lightweight adapter features a Micro USB port on the side that lets you simultaneously charge your mobile device while you're using it to display content on an additional display, providing a convenient and highly portable accessory for connecting your SlimPort/MyDP device to a larger screen, even when you're on the go. 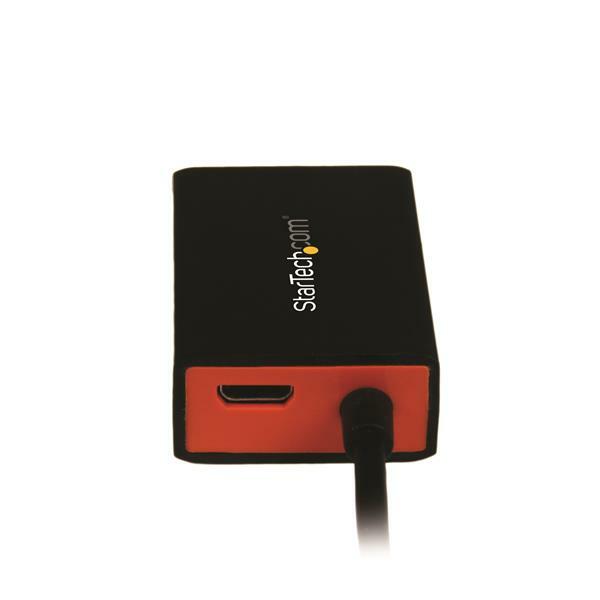 The SlimPort adapter is intended for displaying user-generated content such as presentations, documents, and work sheets onto a VGA projector or monitor. HDCP encrypted content will not be displayed and certain devices output HDCP for all content, by default these devices will not function with this adapter.